The course language is English; all lectures and the exams will be conducted in English. Graduates recieve the Master of Business Engineering (MBE). 120 ECTS will be obtained. The course is tailored to enable the participation of students who may be working full time. Lectures are held in modules once every month from Thursday to Saturday, so students can comfortably attend. The master program takes four semesters, with the first three semesters comprising lectures and exams and the fourth semester is intended for writing the master's thesis. Each semester there are five modules with lectures conducted. 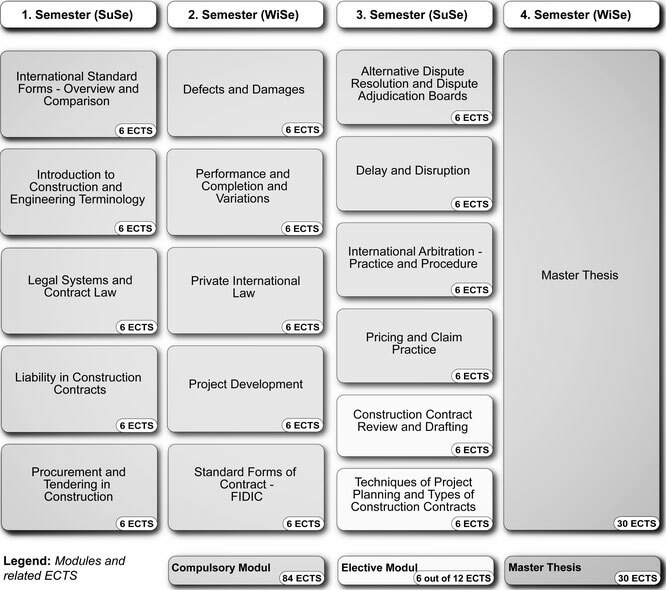 The topics are as indicated in the prgram structure below. For detailed descriptions please check the tab "Content". Exams are taken at the end of the semester in a three day event (Thur - Sat), separately from the lecturing modules. The assessment load comprises the content of the foregone five modules having been conducted during the semester. For each module one exam will be taken. The duration is 120 min each.